The new Junior ISA, the coalition Government’s replacement for the Child Trust Fund (CTF), commenced on the 1st of November 2011. It works in basically the same way as an ordinary adult ISA though with a few important differences. The Junior ISA is available to any child that does not qualify for a Child Trust Fund; that is any child born after the 3rd of January 2011 or before September 2002 and the commencement of the Child Trust Fund, provided of course the child will not become eighteen years old by the 1st of November 2011. For children born between the 3rd of January and the 1st of November a Junior ISA can be started fairly quickly and easily. Most only require minimal opening deposits to be made. Any child who already has a CTF cannot also have a Junior ISA however the investment limit will rise to £3,720 per annum in line with the Junior ISA. Under the Junior ISA scheme parents, or indeed anyone with an interest in a child’s future, may deposit up to £3,720 per year in either a Junior cash ISA or a stocks and shares Junior ISA; provided that however many different individuals invest the total annual investment per child must be no more than £3,720. Parents with more than one child may have a separate Junior ISA for each qualifying child. When the child reaches eighteen years of age the Junior ISA automatically converts to a standard adult ISA. A person aged between sixteen and eighteen years old can open a Junior ISA in his or her own name. 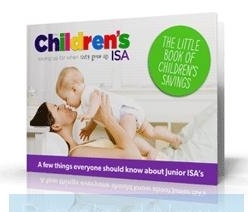 All of the profits from the Junior ISA are entirely tax free. Can My Child Have Both a Stocks and Shares and Cash ISA? It is perfectly acceptable for a child to have either a cash ISA or a stocks and shares ISA or indeed both, provided that the total investment does not exceed £3,720 per year. For example a child could have a cash ISA in which £1,000 is invested in a particular year and a stocks and shares ISA in which £2,600 is invested is invested in the same year. The Junior ISA, unlike the adult equivalent, will allow for switching from a cash ISA to a stocks and shares ISA and back again. When Can I Get Access to the Funds? Any funds invested in a Junior ISA will be “locked” until the child reaches eighteen years of age, after which it will switch automatically to a standard adult ISA and the child will be able to withdraw funds from it at will, as well as making additional investments. It is expected that there will be provision for early withdrawal in the event of the death of the child before reaching eighteen years of age in the event that the child is diagnosed with a terminal illness.